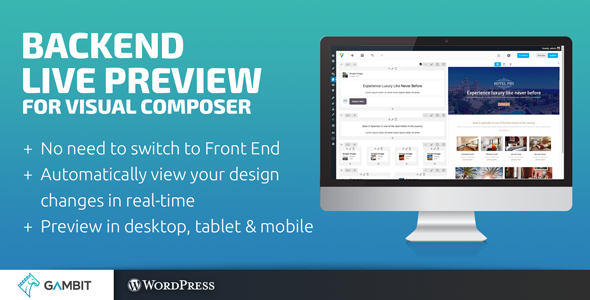 Say goodbye to the hassle of switching between your preview and the backend WPBakery Page Builder (formerly Visual Composer) editor just to check the changes you’ve made. Backend Live Preview gives you the actual preview of your website right beside the WPBakery Page Builder backend editor. The preview updates on your every change and also lets you toggle between desktop, tablet and mobile phone responsive views. Backend Live Preview for WPBakery Page Builder was created because we always used their backend editor instead of the frontend one. The backend was faster, more robust, and from experience, some shortcodes didn’t render properly in the frontend. However, the problem was that we had to constantly click on the preview button just to see whether our resulting design looked great. The few seconds that it takes to load up the preview and switching from tab to tab eats a lot of your time. 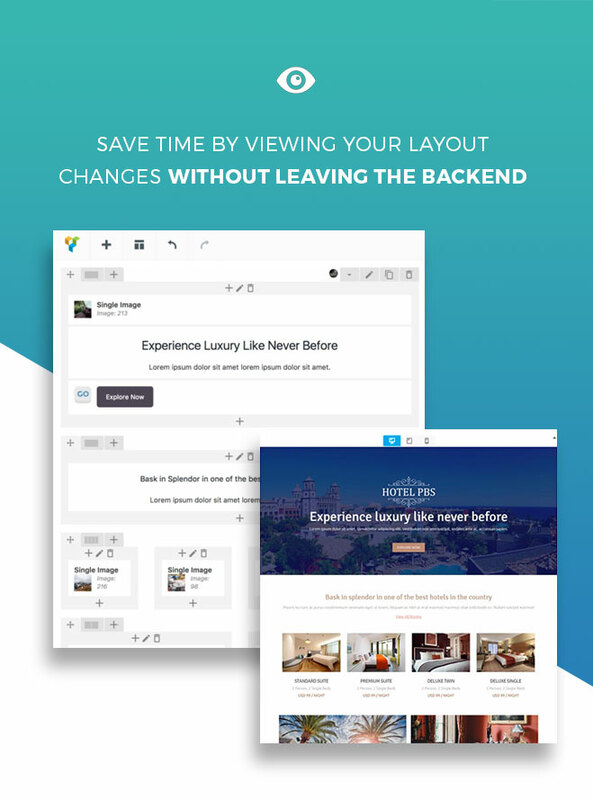 Now with Backend Live Preview, there’s no more need to switch between tabs to view your layout. Switch to WPBakery Page Builder’s full screen mode and you’ll be presented with a live preview of your page/post, that updates with every change you perform. You’ll also be able to preview your page in desktop, tablet and mobile phone screen sizes. Backend Live Preview will change how you use WPBakery Page Builder, and will bring your efficiency through the roof. * New: Inputted custom CSS are now being applied in the preview. * Fixed: Custom CSS being generated by WPBakery Page Builder shortcodes are now being properly applied.